KEN YUSZKUS/Staff photo. 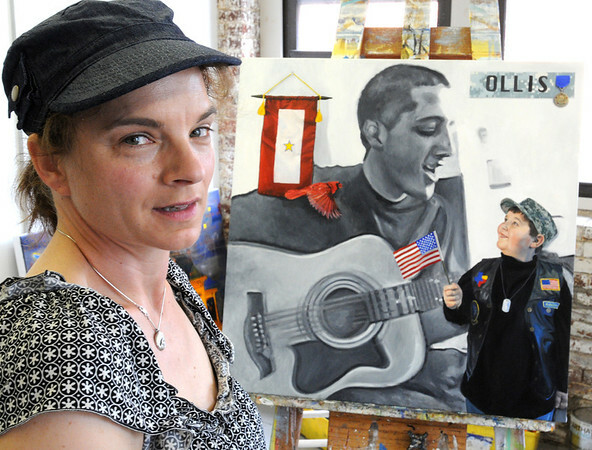 Artist Jill Pabich painted a portrait of a fallen soldier for his family. The oil painting is in the background. 6/10/14.